Buzz Aldrin, the second human to walk on the moon—to press bootprints into the dusty surface and gaze upon the horizon as it curved against the blackness of the space—is now embroiled in something much less awe-inspiring. He’s suing his kids. 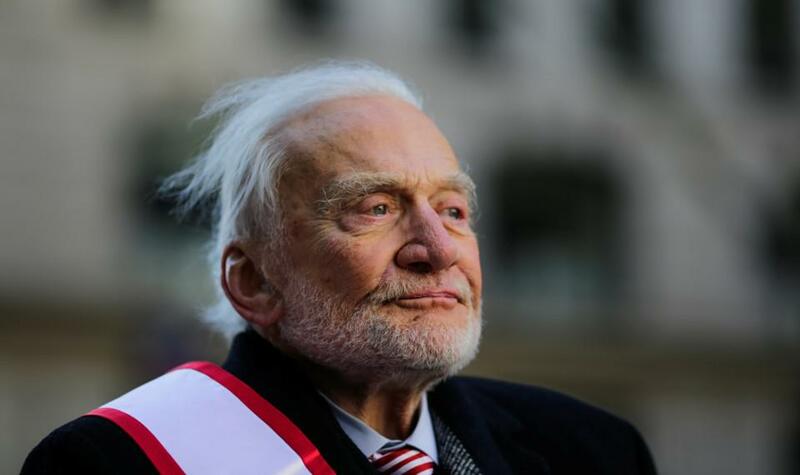 To understand the lawsuit requires taking stock of what Aldrin has done since July 20, 1969, when he and Neil Armstrong pulled open the hatch of their lunar module and made history. Unlike Armstrong, Aldrin embraced the public attention back on Earth, fueled by what seemed to be an almost messianic desire to promote space exploration. He flew around the world to give speeches, wrote nearly a dozen books, and made many cameos on television shows. He talked about his plan to get humans to Mars to anyone who would listen, including Barack Obama on Air Force One. He T-shirts that say in 2010 was done, in part, to “inspire interest in the space program,” he explained in one of his memoirs. Just last week, Aldrin, now 88 years old, was at the White House for a meeting of the National Space Council.